Walking with Jesus: Day 75: Acts 22:6-21 & Prov. 24:30-34 - What is the Value of Personal Testimony? Day 75: Acts 22:6-21 & Prov. 24:30-34 - What is the Value of Personal Testimony? 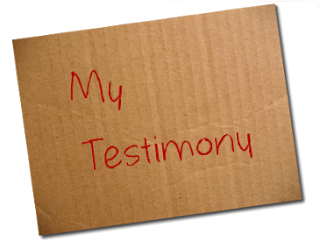 What is the Value of Personal Testimony? You have the assurance of eternal life. You have the privilege and joy of worshiping Him. You have the Holy Spirit dwelling in you. You are a citizen of Christ's kingdom. You have the fulfillment of every promise of God in Jesus. A personal testimony is something which every Christian can share and which is difficult for a non-believer to refute. For Paul, it was a wise choice for sharing with this mob. He could not engage them in extended reasoning from the Scriptures in that atmosphere, and he did not want to be argumentative. It was a great time for him to share his testimony. When was the last time you shared yours? Heavenly Father, give us opportunities to share out testimonies with unbelievers. Give us courage and clarity to share our faith with those who need to know Jesus. In His name we pray, Amen. Heavenly Father, keep us from the lure and the danger of being sluggards. Give us diligent spirits and let us work hard for Your glory in all we do. In Jesus' name, Amen.